Ivanka Trump is traveling to Ethiopia and Ivory Coast this month to promote her global women's economic empowerment initiative. The Women’s Global Development and Prosperity Initiative, which was announced by the the Trump administration in early February, aims to help 50 million women in the developing world get ahead economically by 2025. The administration has dedicated $50 million to the initiative, though that figure could go up to $300 million allocated for 10 U.S. government agencies in the next years. “I am excited to travel to Africa and advance the United States’ Women’s Global Development and Prosperity initiative. 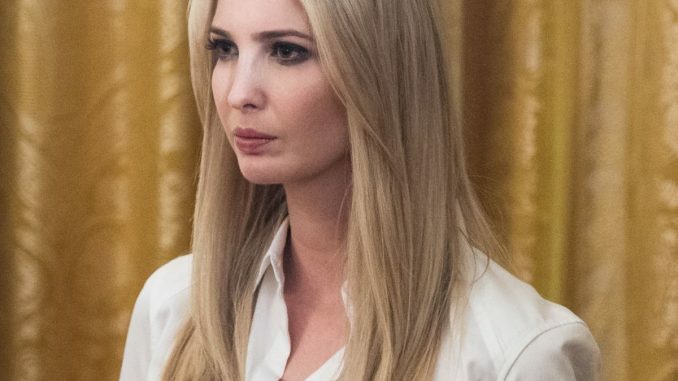 The White House, and the whole of U.S. government, stands firmly behind the goal of economically empowering 50 million women through W-GDP by 2025 and in so doing, championing American values of freedom and equality around the world," Ivanka Trump said in a statement provided to Refinery29. She added: "This mission is crucial to the peace and stability of nations and is achievable if we focus our collaborative efforts on job training, entrepreneurship, and breaking down the legal and cultural barriers that restrict women from achieving their full economic potential." According to the White House, Ivanka's schedule includes meetings with political leaders, female entrepreneurs, and other power players and site visits in both countries plus she'll be attending a summit dedicated to the topic of women's economic empowerment in Ivory Coast, hosted by the World Bank Group. She will be traveling with Mark Green, administrator of the U.S. Agency for International Development (USAID), an agency playing an integral part in the initiative; David Bohigian, acting president of the Overseas Private Investment Corporation; and Kristalina Georgieva, interim president of the World Bank Group.